Creating A Unique Contemporary Great Shelford Orangery. 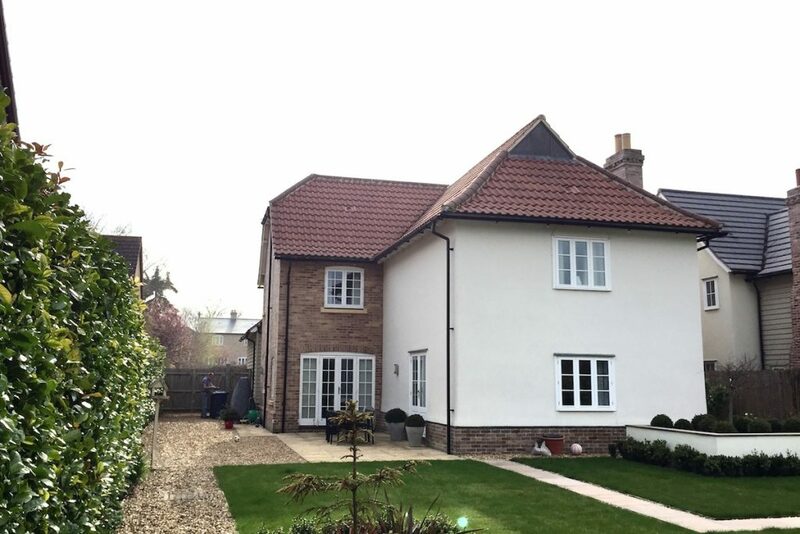 After moving into this new build in Great Shelford, the owners realised that the patio that had been created during the development was too cold, too narrow and basically unusable. Although it looked good, the L-Shaped space was shaded by the double story house and therefore received very little sunshine. 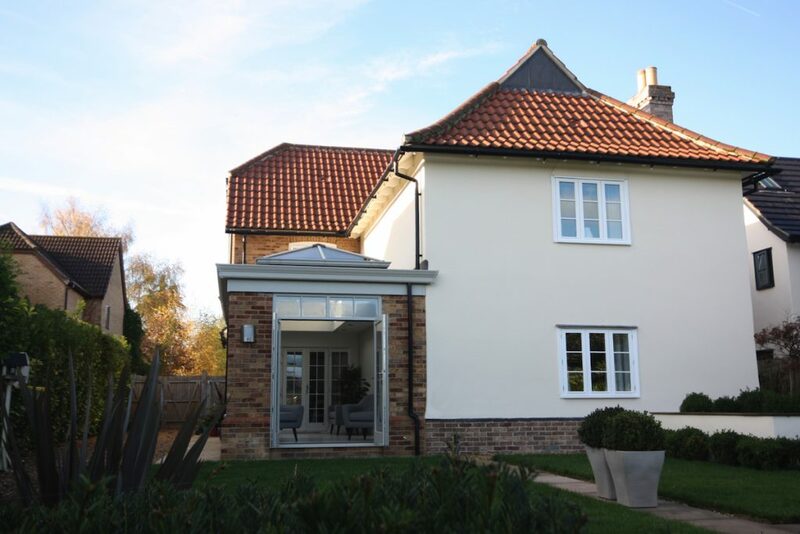 So when they decided to build a side extension, they approached the Cambridge Conservatory Centre to discuss a bespoke solution that would not only make the best use of the available space, but that would also enhance their home. Although the house has classic styling, the family wanted a very contemporary space that would feel light, open and minimalistic. After discussing their desires and visiting their home, we designed a classically styled Orangery to ‘fill in’ the L-Shape created by the two wings of the house. 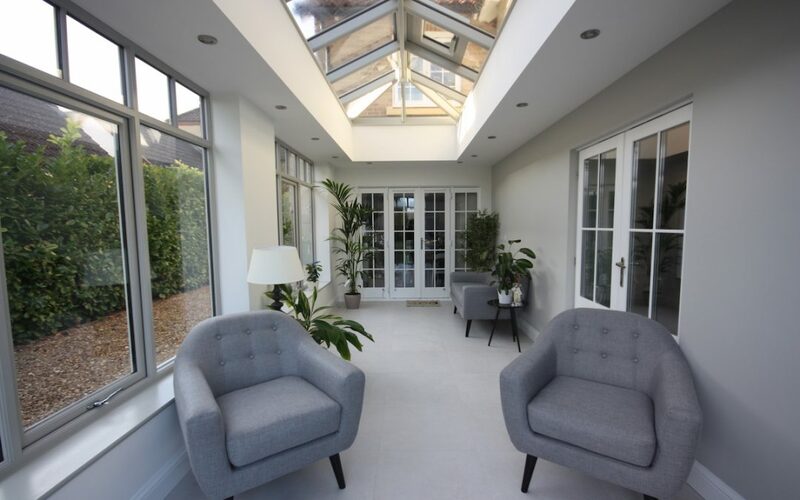 It was important to ensure that from the outside the Orangery complimented the house but that from the inside, the space would feel modern and spacious despite the somewhat narrow space available. And that’s the fabulous thing about offering a completely bespoke service to our clients. With over 30 years of experience we have a ton of knowledge and experience that we bring to each and every project we undertake. We know what works and how to combine elements together to deliver a stunning result. And this space is certainly stunning! Although the windows and doors in the main house are white, the owners wanted to use grey for the new Great Shelford Orangery. The grey sits comfortably with the brickwork that was used to match the main house and from the inside the success is obvious. Cleverly using a minimalistic colour palette, the new Orangery feels wider than it actually is. Finished in subtle shades of grey, the space feels open, spacious and contemporary. The original white multi paned glass doors allow access to the main house and sit comfortably against the predominately white walls of the Orangery. 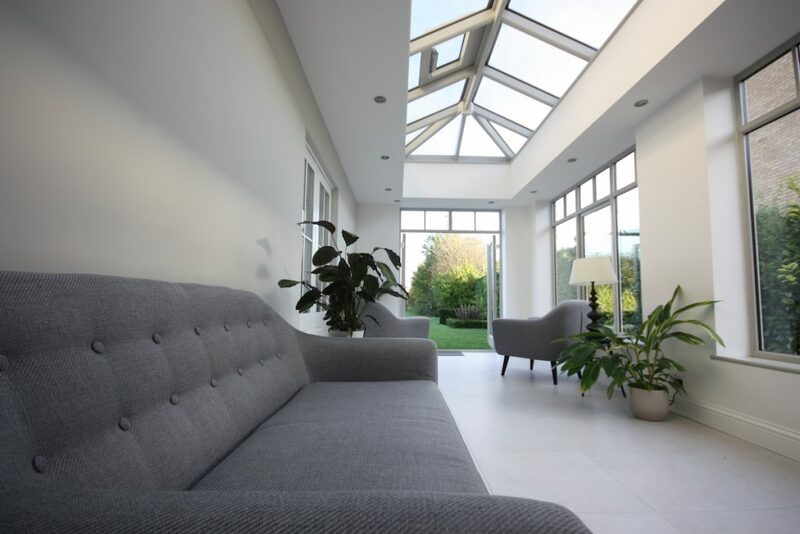 The lantern roof soars away above the light filled space and a roof window and opening windows on the long side of the Great Shelford Orangery open to allow ventilation as required. And at the far end, fully glazed French Doors open to allow a view down the long garden. Gone is the narrow unusable patio and in it’s place, and filled with tropical plants, this Great Shelford Orangery is a triumph!